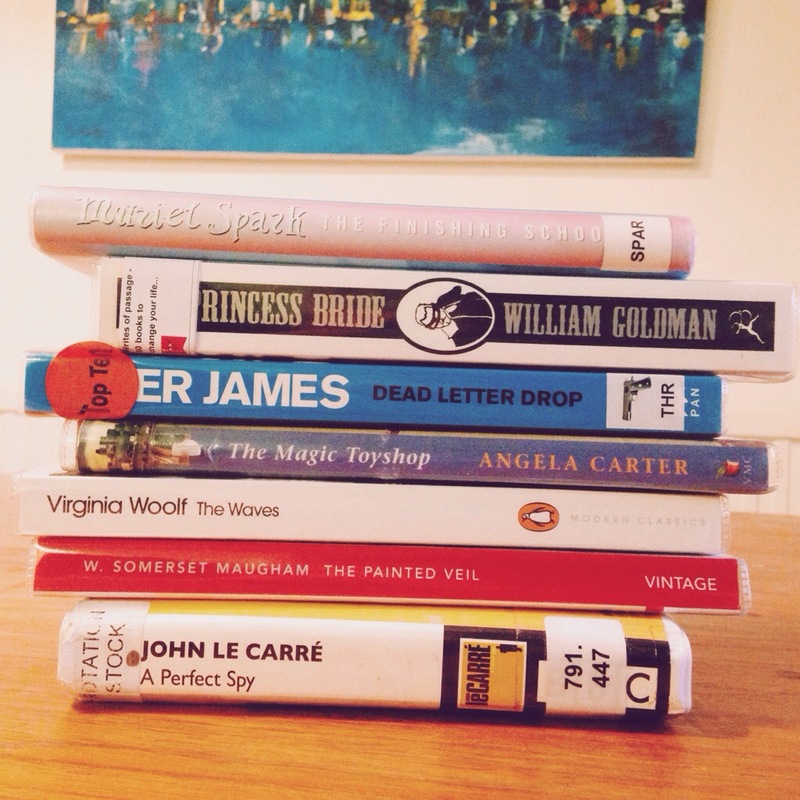 How to pick your holiday reads: or how I did it. I’m off to Cornwall today! Reading on holiday is one of the best things ever. You have real chunks of time to devote to devouring a book – so which ones you take is a serious matter! The Finishing School, Muriel Spark: Firstly, I read a book by Spark for my degree which was fairly intriguing, secondly, a book about a finishing school that isn’t for children sounds curious. I’m expecting some cutting social commentary and a fun story. The Princess Bride, William Goldman: I’ve only seen the film once, but the fact that so many people adore this make it worth a try – plus I wanted something that looked a bit fantasy like. It’s an abridged version which is a shame, but I’m curious. Dead Letter Drop, Peter James: It (along with about 30 others) was in the top ten this year from the library, I’ve heard of Peter James. That’s all. The Magic Toyshop, Angela Carter: I really like The Bloody Chamber by Carter; her subversive feminist fairytales. I’m hoping for some more of the same – though I’ve also previously abandoned one of her books for being too weird. The Waves, Virginia Woolf: I love LOVE To The Lighthouse, and wanted to read more by Woolf. Plus, I’ve been trekking round Bloomsbury all week. I’m really looking forward to this. The Painted Veil, W. Somerset Maugham: Someone I know has been enjoying Maugham, and I know nothing about him. I’d heard of this title, so chose it. A Perfect Spy, John Le Carre: An audiobook. The only one I thought might interest both Aidan and I in the car – again, I have never read anything by him before. I would also have liked to read something place specific – i.e. set in Cornwall – but didn’t quite get round to finding any that I hadn’t read. But I’m looking forward to exploring the land of Daphne Du Maurier and some of The Dark is Rising sequence.